A CILEx member and assistant solicitor have been rebuked and fined for not making clear that they were acting for the company that referred its customers to them, rather than the customers themselves. Arthur Finlay, a member of the Chartered Institute of Legal Executives, was head of private client at Southport law firm Brown Turner Ross (BTR), where he supervised assistant solicitor Claire Booth, who now works at Stephensons in Wigan. In regulatory settlement agreements published last week, both were rebuked and fined £2,000 – the most the SRA can sanction individuals without referring them to a disciplinary tribunal – and Mr Finlay was also banned from working in solicitors’ firms. The agreements explained that, in 2012, unregulated business Goldstar Law started to approach elderly people to sell them estate preservation trusts (EPTs), which it said would prevent or ring-fence their properties and savings from being sold or used to fund future care costs. Goldstar was subsequently wound up by the High Court and members of staff successfully prosecuted for scamming elderly people of £500,000. There is no suggestion that BTR was involved in the scam. Goldstar required customers to pay an up-front fee of £1,995 and referred them to BTR to prepare the EPT. Over a 12-month period, BTR handled around 116 EPTs; Ms Booth had conduct of a third of them. 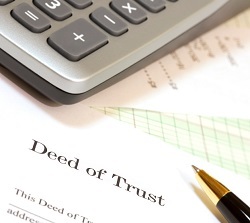 Under the EPT, assets, such as homes, were transferred into a trust held by trustees on behalf of themselves and others as beneficiaries of the trust. The effect of the EPT was that Goldstar customers would no longer own the asset in their own name. Instead, the asset would be held by the Goldstar customer as a trustee, jointly with another trustee who was usually a family member. The agreement said BTR corresponded with Goldstar’s customers about the EPT using standard letters “that did not adequately explain for whom BTR were acting or provide clarity for those customers about what they ought to do should they want legal advice about entering the EPT”. Goldstar provided BTR with pro-forma documents containing information about their customers for them to prepare EPT documents in accordance with precedents obtained by BTR from counsel. They then sent the EPT to the customer for execution and undertook the work necessary to register the transfer of the property to the trustees with HM Land Registry. The SRA said BTR did not make customers aware that it only acted for Goldstar; did not recommend that customers sought independent legal advice before entering into the EPT; did not advise customers about the legal implications of the EPT; did not ascertain whether customers understood the documentation; and did not assess whether the EPT was appropriate for the individual circumstances of each individual customer. It said neither BTR nor Mr Finlay considered Goldstar’s customers to be their clients and were not providing them with advice. However, Mr Finlay should have ensured that this was made clear to Goldstar customers. In mitigation, Mr Finlay said he had retired from BTR and ceased working in the legal profession in March 2017. He insisted that he made it clear to Goldstar representatives that they must not assert to their customers that putting their assets into an EPT would be guaranteed to protect them. Further, he said his involvement in the scheme related only to the mechanics of preparing and sending out the documentation to Goldstar customers. Ms Booth’s mitigation was that she was a new employee at BTR “and conducted the work under the supervision of Mr Finlay and at the direction of the firm’s directors”. She said she was “comforted” by the fact that BTR’s directors appeared to have considered Goldstar’s paperwork and scheme in detail, and that counsel had been instructed to prepare some EPT documents and cover letters that she used as a precedent. Further, she recalled advising some of the Goldstar customers verbally that she acted for Goldstar and not them, but did not do so in writing. She also said raised concerns with BTR’s directors about the fact that the EPT documents were sent out directly to Goldstar’s customers and not for Goldstar to dispatch. The Insolvency Service wound up Goldstar Law in 2014 for failing to provide the services it claimed it could and using forceful and misleading sales practices. In 2015, eight people who pretended to be lawyers through Goldstar Law and two other businesses were sentenced after scamming elderly people out of more than £500,000 in return for bogus asset protection trusts, with carrying out a reserved legal activity when not authorised one of the charges half of them faced. The link with BTR was investigated by the Mail on Sunday in 2014, which reported that then managing director David Bushell told the paper that his firm had broken with Goldstar “for reasons he was barred from disclosing”. The paper’s financial investigator, Tony Hetherington, continued: “There is some good news though. Brown Turner Ross felt an ethical obligation towards Goldstar’s customers.